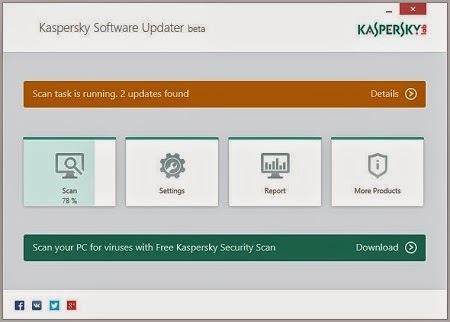 Keep your software up-to-date with Kaspersky Software Updater. Quick scan of your PC to check security critical software followed by scan results with the list of latest updates needed to keep your PC secure. Update your PC software in just one click.